I had been meaning to visit Mother’s Dumplings in Chinatown for quite some time, but for whatever reason, I hadn’t gotten around to it until yesterday . Back in January of this year , I blogged about how much I like Chinese food and mentioned the "fabulous" dumplings that I had at Chinese Traditional Buns in Chinatown. 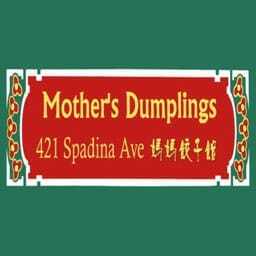 A comment was submitted suggesting I should go to Mother’s Dumplings and I had this place on my radar ever since. I read a lot of positive reviews of the place and heard a lot of good things about Mother’s Dumplings over the months that followed, so I definitely had high expectations on my first visit. My first impression when I walked through the doors was a good one – I was greeted right away by a server passing by and it wasn’t long before I was seated in their pleasantly decorated restaurant. (Yes, this place looks much nicer inside than many (most?) other restaurants in Chinatown.) But once my food arrived, it was all downhill from there. I ordered three dishes – #4 : Chicken & Mushroom Dumplings (boiled); #9 : Shrimp, Chive & Egg Dumplings (steamed); and #35: Wonton Soup (Northern China style). All three dishes were merely palatable and extremely disappointing. I asked myself if maybe I had set my expectations too high and was perhaps not being fair in my assessment, but I don’t think this was the case – it was just really boring food. The dumplings were very bland and seriously lacking flavor. No amount of hot sauce or vinegar was helping. How can you augment flavor that isn’t already there in the first place? The prices seem really cheap when you look at them on the menu, but when the food comes out, you really get much less than what you pay for. I expected shrimp to be the main ingredient in the shrimp dumplings (they’re priced higher than most other dumplings on their menu) but each dumpling was actually very hollow inside, and filled mostly with chives and glass noodles. Each dumpling contained only a tiny piece of shrimp about the size of a small pea – that’s definitely not what I expected. This was perhaps the most memorable part of my meal – just how exaggeratedly small the portion of shrimp was in each of the shrimp dumplings. The chicken and mushroom dumplings were slightly better but also very bland and significantly lacking flavor. The wonton soup was perhaps the best of the three, at least in terms of flavor content, but unfortunately, while it did have a more prominent flavor it wasn’t a flavor profile that I particularly enjoyed. It also had way too much green onion for anyone’s taste. There’s much better wonton soup to be had in Toronto’s Chinatown and it’s not hard to find. The ambience and service at Mother’s Dumplings were very pleasant, but unfortunately the food was so incredibly boring and seriously lacking taste that it will take a lot to get me to go back and give it another shot. Mother’s Dumplings was published on Monday, June 6, 2011 at 1:13pm EDT by Daniel Menjívar and last updated on April 11, 2018 at 9:30pm UTC .